The Internet has become one of the most essential means for communication, commerce, and development in an increasingly globalized world. Governments around the world have given high priority to the development of their national Internet infrastructure and to achieving higher levels of Internet penetration among their populations. These activities have been supported and catalyzed by national and international stakeholders, including local Internet service providers and other IT businesses and non-profit organizations like the Internet Society which believe that the Internet can contribute substantially to the socio-economic development of people around the world. An Internet Exchange Point (IXP) is a component of Internet infrastructure that can increase the affordability and quality of the Internet for local communities. IXPs enable local networks to efficiently exchange information at a common point within a country rather than needing to exchange local Internet traffic overseas. In many developing countries, for example, Internet messages need to be exchanged beyond their borders, because of a lack of connectivity between domestic networks. As such adding significant costs, delay, further vulnerability and possible loss. IXPs are somewhat analogous to regional airport hubs in the physical world. At a regional airport hub, airlines exchange passengers between domestic flights at a convenient point within the country, rather than exchanging domestic passengers at an international airport overseas. In much the same way as an airport hub, where there is an IXP located within a country, an Internet message originating from and destined to a local user (whether it be an e-mail, web page request or other data message) is routed at a local point within country rather than being exchanged overseas. Simply put, IXPs enable a message on the Internet to reach a recipient in the same country more easily and efficiently. 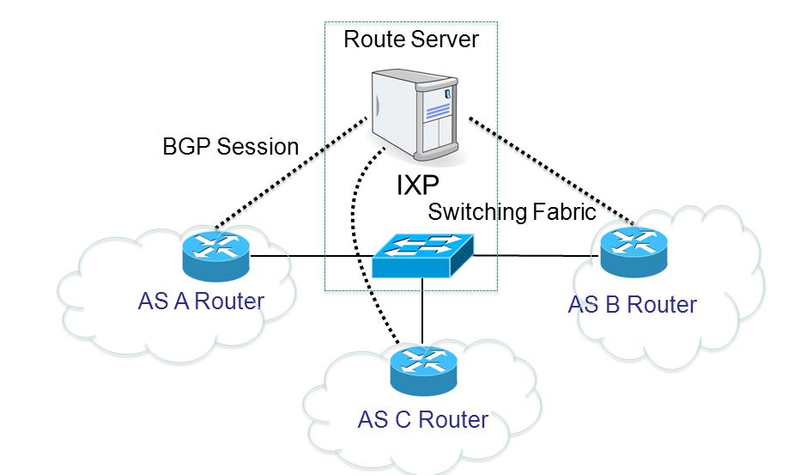 Furthermore, IXPs can be established with relatively minimal equipment and overhead costs.